Season four marks a new beginning of sorts for Outlander. With the end of the Jacobite risings, the deaths of Black Jack/Frank Randall, and the reunification of Claire and Jamie Fraser, the show finds itself heading into colonial America having resolved most of its longstanding conflicts. One does not need to spend much time wondering what the show could possibly do next, as Diana Gabaldon’s bestselling book series ensures that the series will have at least six more seasons worth of material, putting aside the numerous spinoff works. For all of the geography that its story covers, Outlander remains remarkably grounded in its best asset. The show constantly presents new beautiful landscapes for its characters to explore, but it never forgets that romance lies at the very heart of its appeal. The palace of Versailles can captivate the eyes, but Claire and Jamie’s love penetrates deeper into the soul, deserving precedence over whatever new destination comes into play. Twenty years have passed since the stones of Craigh na Dun first brought Claire to eighteenth-century Scotland. Perhaps it shouldn’t be surprising for a show about time travel, but Outlander handles the literal passage of time quite well. Four seasons in, Claire and Jamie genuinely act like an old married couple. Caitriona Balfe and Sam Heughan have had to adapt to a lot of different circumstances over the years, including the ways their characters are supposed to be perceived. The raw passion of the early years has evolved into a refined maturity, an impressive feat for a show that owes much of its early success to carnal indulgences. Their love feels genuine. Season four takes its time before settling into another history shaping conflict. 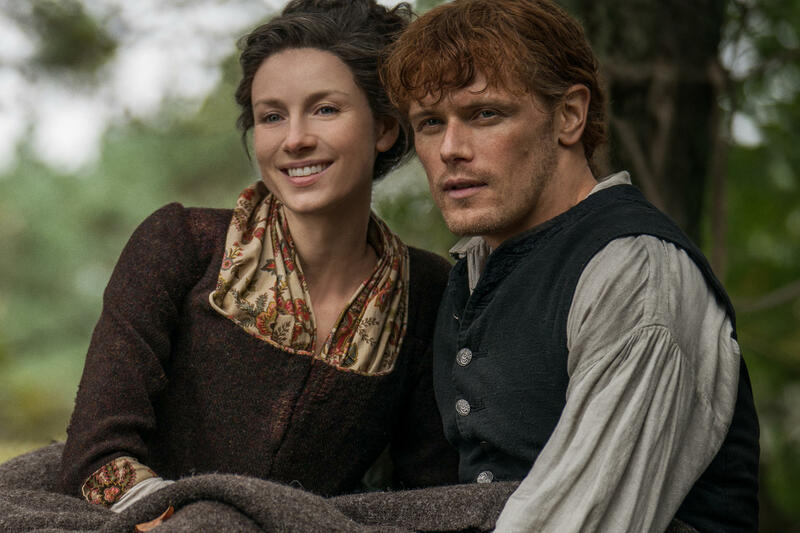 The stakes hardly feel lowered, as America is hardly kind to Claire and Jamie for long, but the show benefits from giving their romance a break from the heartache of prolonged separation. After all the time spent apart in season three, it’s nice to have a few scenes where the two simply stop to take in the journey they’ve been through just to be together. The strength of Balfe and Heughan’s acting allows the show to get away with some of its persistent problems. There’s rarely an episode of Outlander that couldn’t be one or two scenes shorter, a weird dynamic considering the amount of source material each season has to adapt. The show gives inconsistent time to its supporting cast, making it harder for the viewer to bond with any of them in the same way as fan favorite Murtagh, who was absent from most of season three, though the show broke from the source material which killed him off in the Battle of Culloden. Outlander has never been a perfect show, but it knows how to utilize its best assets, letting Claire and Jamie dominate the narrative set against the backdrop of beautiful scenery and impressive set designs. TV shows often head into their fourth seasons with an eye on the eventual endgame. The sheer number of books left to be adapted takes Outlander past the natural lifespan of many cable offerings, making it hard to tell where this story will end up. Like the romance at the heart of its narrative, Outlander looks ready to withstand the passage of time.